Todmorden High School is a popular and oversubscribed school. Growth in numbers means that we are looking to appoint an outstanding practitioner and Director of Science. The appointment of an outstanding leader in the faculty leader and, subject lead in Science, will provide the required leadership capacity in this key area. The core value of our school is to appoint the best teachers and leaders to inspire our young people in an environment that is supportive but aspirational. The successful candidate will work alongside an ambitious and talented leaders and teachers in a successful department, providing the vision and strategy within a forward looking and successful school, where wellbeing is championed and staff voice is strong. As an outstanding practitioner within your own classroom, with a track record of leadership within Science, this is an exciting opportunity to expand your leadership across the wider school system. 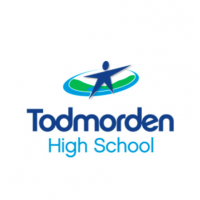 As a leader Todmorden High School you will be provided with leadership development through regular coaching from a senior leader and access to professional development programmes to support this. As part of this role you will be seconded to the Senior Leadership Team as an Associate Assistant Headteacher. This will enable you to further develop your leadership through supporting a key area of the school development plan. There has never been a more exciting time to join a school which is open, innovative and has high expectations for all. You can have a real impact on the lives of the young people as well as developing your skills to be the best that you can be. Download our Applicant info pack and documents. Apply via the Quick Apply button to upload and submit your application with a quality Covering Letter.